Our policy is to freely and openly share our work with the community of dedicated scientists and other professionals as well as concerned citizens who are working to conserve Antarctica and our planet. Thanks to everyone for your commitment and we truly hope that our work will assist you. Antarctica is ‘ground zero’ for understanding how a changing climate affects Earth’s living organisms. What happens to Antarctica’s penguins, wildlife, land, ice, and ocean affects us all. Oceanites has inaugurated a major, long-term Climate Challenge research project that will help distinguish the direct and interactive effects of climate change, fishing, tourism, and national operations in the Antarctic Peninsula, which, in turn, is expected to assist improved environmental management in this vastly warming region. We’ll keep you posted on developments here. The Mapping Application for Penguin Populations and Projected Dynamics (MAPPPD) is an open access decision support tool that The Lynch Lab, Stony Brook University, and the US National Aeronautics and Space Administration (NASA) designed specifically for Oceanites as a one-stop shop for information on penguin abundance and distribution in the Antarctic. MAPPPD integrates citizen science, expert biological field surveys, and satellite imagery to provide data required for Antarctic decision support and conservation assessment. The ASI is the only non-governmental science project working in Antarctica and the only project monitoring penguin and seabird population changes throughout the entirety of the vastly warming Antarctic Peninsula. 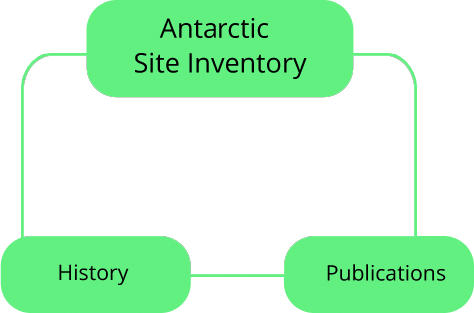 Over 22 seasons, Oceanites’ Antarctic Site Inventory has made 1,713 site visits and collected data at 223 locations. The changes we’ve been tracking are significant — gentoo penguins increasing their numbers and extending their range southward, while Adélie and chinstrap numbers are in decline across the region. The 2016-17 field season, just concluded, was the ASI’s 23rd consecutive season tracking these trends. We’ll keep you posted on developments here.